I think you mean developer "Ordinaire". 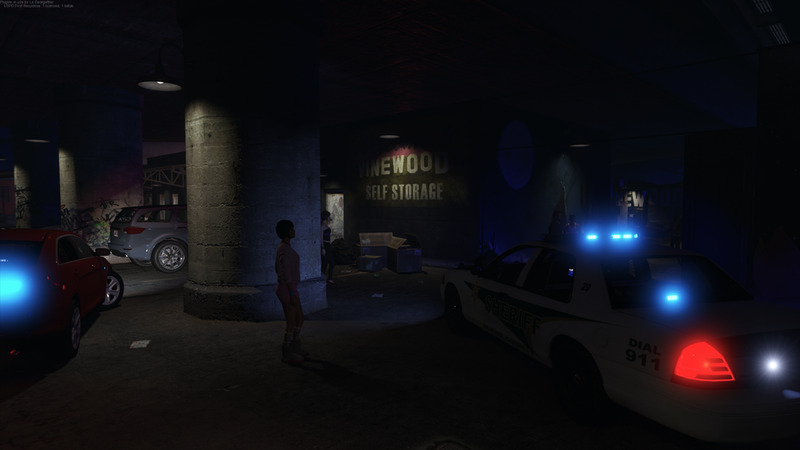 I started my entrance into the development scene with Secondary Callouts around the 0.2 version of LSPDFR. Around this time, there were a few major callout packs (Code 3 Callouts, Agency Callouts, etc), but overall the choices were limited. So, I set out to make my own. Knowing nothing about Visual Studio or C#, I taught myself how to develop from nothing (well, nothing + a lot of help on the API forum section of LCPDFR.com). 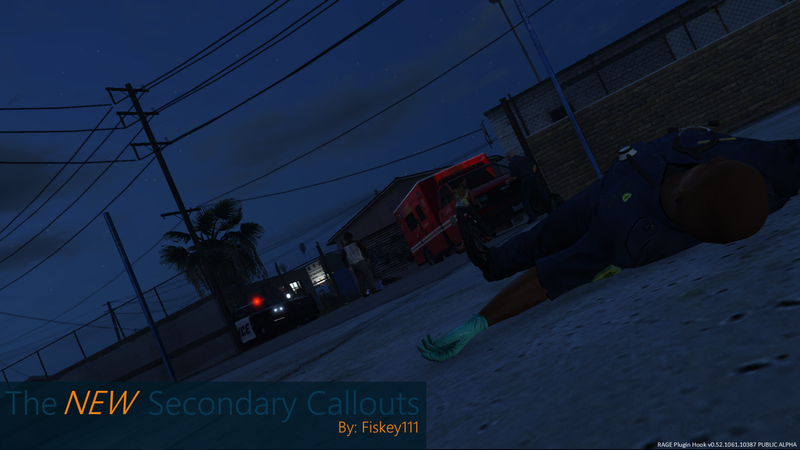 From there, I released the super-buggy version of Secondary Callouts which now is a well-known callout pack with over ten callouts. From there, I moved into developing PolicingMDT - a MDT for LSPDFR which allowed for citations and field interviews to be written by officers. Finally, I started work on L.S. Noir, a modification designed to bring detective work into LSPDFR. All things take time. All great things take more time. Secondary callouts was revolutionary in its own way. It has been one of the largest callout packs ever produced for LSPDFR. Focused on the idea of you, the player, not always being the primary unit, Secondary Callouts is undergoing a complete overhaul. Focusing on performance, variability, and a clean look, the new Secondary Callouts will be a whole new pack compared to previous versions. 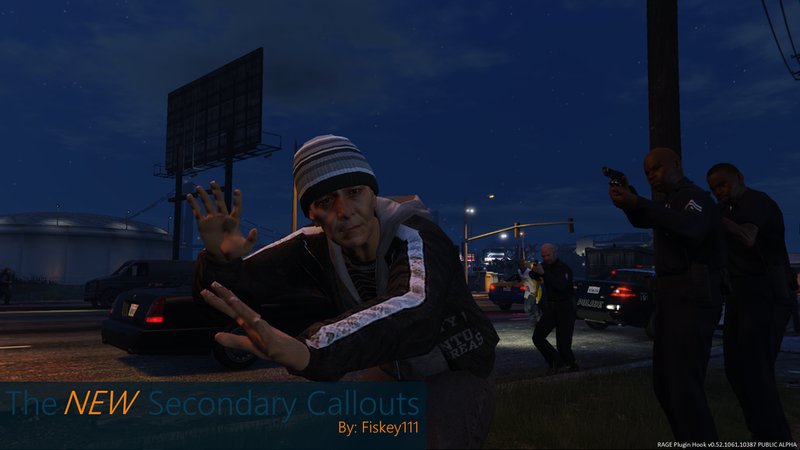 Each callout has been rewritten from the ground up to utilize modern coding techniques and maximize the performance of Grand Theft Auto V. Each callout will contain an all-new "False call" option; meaning that your callout might appear to be normal - but it's actually fake. Or is it? That's for you to find out. In short, the new Secondary Callouts is back to revolutionize callout modifications once again. And this time, it's coming with a friend. In order to produce a revolutionary plugin, a revolutionary case structure is required. Designed from the ground up by our very own skilled developer LtFlash, L.S. Noir will come with a specialized case manager capable of ensuring cases span over sessions. Every detail of this manager was designed with L.S. Noir in mind, down to the evidence investigation technique and the interactive dialog between yourself and peds. We all enjoy our typical run-and-gun style callouts every once and a while, but having a difficult case to solve is something that even the newest detectives dream about. As the saying goes, "Paleto wasn't built in a day", and the same goes for your case. Cases will span across multiple sessions, meaning you might investigate the scene today but the medical examiner will not be available until tomorrow. All this is thanks to the custom-built case manager created by LtFlash. An important tool in a seasoned detective's arsenal is the ability to successfully interrogate individuals. You might get an answer to your question, but ask yourself, is it a real answer? A custom interrogation mode was created for L.S. Noir, ensuring you have not only the most interactive interrogation, but also the most realistic with facial animations and movements. With L.S. Noir you will have to hone your interrogation skills in order to solve your case. A large part of L.S. Noir will be ensuring the cases are not structured in a way that produces a standard case that you can expect. Not every case is solvable, you might hit a dead-end and the case will go cold. Or, you might get the suspect's name early on - allowing you to swoop in before they ditch town. Or, you might get a case that leads into another case. The unknowns will ensure this plugin maintains variation for each case you take. We'd like to give a huge shoutout to our major supporters who, through their generous donations, have ensured we are able to release the best content we can! Like my work? Why not donate? Fiskey111 mods is not affiliated with Grand Theft Auto V, Rockstar, Take-Two Inc, or any other business entity. Any likeness to a game, person, video, event, or entity is fortuitous, as no representation is intended. Any copyright, terms and conditions, or other protection applies specifically to content created by Fiskey111. All payments through this site are secure. Any payment made is considered a donation and is not a purchase. No service, benefit, or product should be expected with a donation. Please see the full terms and conditions here.